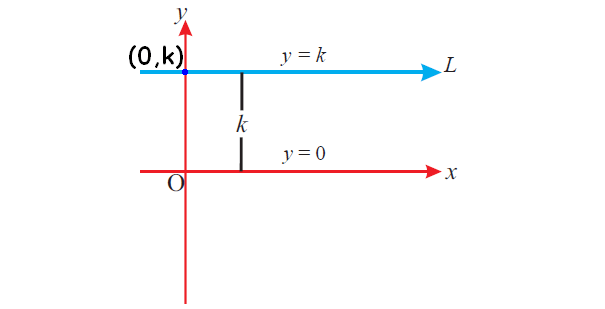 About "Equation of a straight line worksheet"
Equation of a straight line worksheet is much much useful to the students who would like to practice problems on coordinate geometry. 2) Find the general equation of the straight line whose angle of inclination is 45° and y-intercept is 2/5. 3) Find the general equation of the straight line passing through the point (-2,3) with slope 1/3. 4) Find the general equation of the straight line passing through the points (-1, 1) and (2, -4). 5) The vertices of a triangle ABC are A(2, 1), B(-2, 3) and C(4, 5). Find the equation of the median through the vertex A. 6) If the x-intercept and y-intercept of a straight line are 2/3 and 3/4 respectively, find the general equation of the straight line. 7) Find the equations of the straight lines each passing through the point (6, -2) and whose sum of the intercepts is 5. 8) Find the general equations of the straight lines parallel to x- axis which are at a distance of 5 units from the x-axis. 9) Find the slope and y-intercept of the straight line whose equation is 4x - 2y + 1 = 0. 10) A straight line has the slope 5. If the line cuts y-axis at "-2", find the general equation of the straight line. 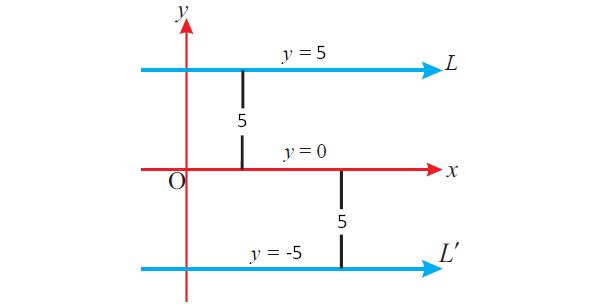 Let L and L' be the straight lines passing through the point (3, - 4) and parallel to x-axis and y-axis respectively. 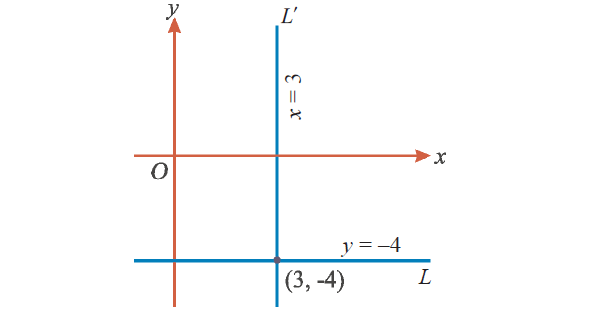 The y-coordinate of every point on the line L is – 4. Let us look at the next problem on "Equation of a straight line worksheet"
Find the general equation of the straight line whose angle of inclination is 45° and y-intercept is 2/5. From the angle of inclination 45°, we can get the slope. Now, we know the slope m = 1 and y-intercept b = 2/5. Find the general equation of the straight line passing through the point (-2,3) with slope 1/3. Find the general equation of the straight line passing through the points (-1, 1) and (2, -4). The vertices of a triangle ABC are A(2, 1), B(-2, 3) and C(4, 5). Find the equation of the median through the vertex A. Median is a straight line joining a vertex and the midpoint of the opposite side. Let D be the midpoint of BC. The median through A is nothing but the line joining two points A (2,1) and D(1, 4). Hence, the equation of the median through A is 3x + y - 4 = 0. If the x-intercept and y-intercept of a straight line are 2/3 and 3/4 respectively, find the general equation of the straight line. Find the equations of the straight lines each passing through the point (6, -2) and whose sum of the intercepts is 5. 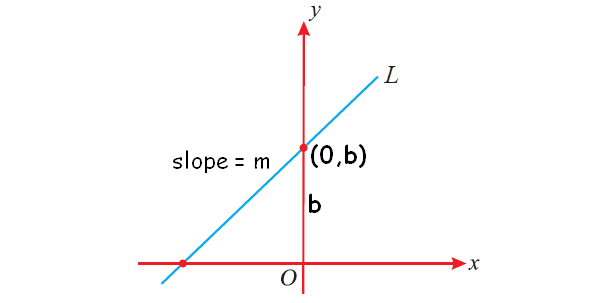 Let "a" and "b" be the x-intercept and y-intercept of the required straight line respectively. Find the general equations of the straight lines parallel to x- axis which are at a distance of 5 units from the x-axis. From the given information, we can sketch the two lines as given below. One line is above the x-axis at a distance of 5 units. And another line is below the x-axis at a distance of 5 units. Hence, y = 5 and y = -5 are the required straight lines. Find the slope and y-intercept of the straight line whose equation is 4x - 2y + 1 = 0. Since we want to find the slope and y-intercept, let us write the given equation 4x - 2y + 1 = 0 in slope-intercept form. The above form is slope intercept form. A straight line has the slope 5. If the line cuts y-axis at "-2", find the general equation of the straight line. Since the line cuts y-axis at "-2", clearly y-intercept is "-2"
Now, we know that slope m = 5 and y-intercept b = -2. To understand and solve the problems given on "Equation of a straight line worksheet", we have to know the stuff "Different forms of equations of straight lines". Now, let us look at the stuff "Different forms of equations of straight lines". Here we are going to see "Different forms equation of straight line". Suppose that we have the graph of a straight line and we want to find its equation. For any straight line, if we want to find the equation, we must have the following information of that straight line. If we have any one of the five information given above we will be able to find the equation of a straight line using the formulas given below. Now, let us look at the formulas of different forms equation of straight line. Apart from the above forms of equation of straight line, there are some other ways to get equation of a straight line. 3. Equation of x-axis is y = 0. 4. Equation of y-axis is x = 0. 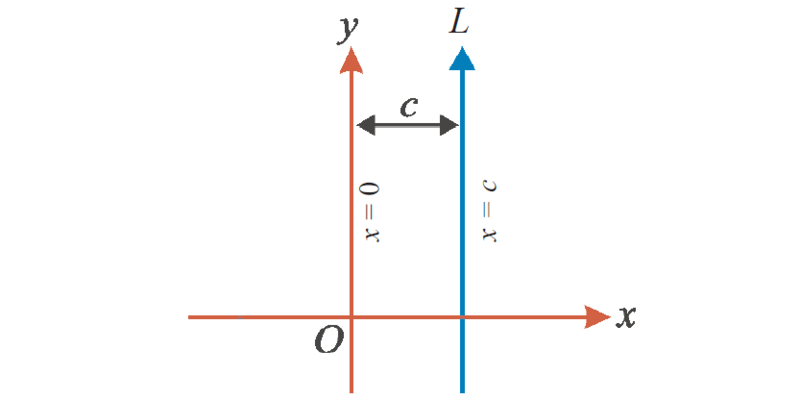 Slope intercept form equation of a line is one of the forms of "Different forms of equation of straight line". This slope intercept form of " Different forms equation of straight line" can also be used as "Linear cost function". "Linear cost function" is the function where the cost curve of a particular product will be a straight line. It is a confusable topic for some students who study the topic "Different forms equation of straight line" in algebra in both school and college level math. Mostly this function used to find the total cost of "n" units of the products produced. "x" stands for number of units. "B" stands for fixed cost. Linear cost function is called as bi parametric function. Here the two parameters are "A" and "B". Once the two parameters "A" and "B" are known, the complete function can be known. In "Equation of a straight line worksheet", next we are going to see, how word problems can be solved using linear cost function. How to solve word problems on linear cost function ? One of the major advantages of "Different forms equation of straight line" is solving word problems. The following steps are involved in solving word problems on linear cost function. First we have to go through the question carefully and understand the information given in the question. After having gone through the question, we have to conclude whether the information given in the question fits linear-cost function. Target : We have to know what has to be found. In linear-cost function, mostly the target would be to find either the value of "y" (total cost) or "x" (number of units). In step 3, we have to calculate the two constants "A" and "B" from the information given in the questions. It has been shown clearly in the example problem given below. 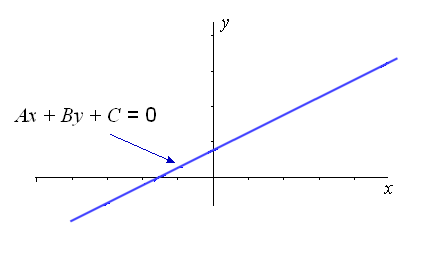 Once the values of "A" and "B" in y = Ax + B are found, the linear-cost function would be completely known. After step 4, based on the target of the question, we have to find either the value of "y" or "x" for the given input. For example, if the value of "x" (number of units) is given, we can find the value of "y" (total cost). If the value of "y" (total cost) is given, we can find the value of "x" (number of units). In "Equation of a straight line worksheet", next we are going to see an example word problem on linear cost function. To understand the applications of "Different forms equation of straight line", let us go through the following problem on linear cost function. A manufacturer produces 80 units of a particular product at a cost of $ 220000 and 125 units at a cost of $ 287500. Assuming the cost curve to be linear, find the cost of 95 units. When we go through the question, it is very clear that the cost curve is linear. And the function which best fits the given information will be a linear-cost function. Target : We have to find the value of "y" for "x = 95"
To estimate the value of "y" for "x = 95", we have to plug "x = 95" in "y = 1500x + 100000"
We understand the applications of "Different forms equation of straight line" through the word problem explained on linear cost function. After having gone through the formulas and problems on "Equation of a straight line worksheet", we hope that students would have understood the stuff "Equation of a straight line worksheet". Apart from the stuff "Equation of a straight line worksheet", If you need any other stuff in math, please use google custom search here.